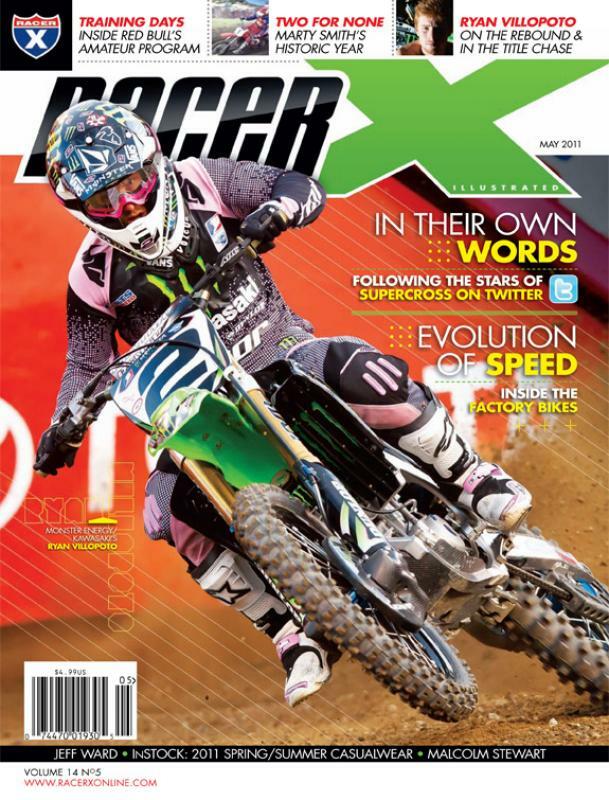 Monster Energy Kawasaki's Ryan Villopoto has landed on the cover of the May 2011 issue of Racer X Illustrated. Subscribers will be receiving it as early as today. If you subscribe digitally, it's ready for you now. Remember, not only can you read it on your computer, but it's also readable on iPhones, iPads, and iPod Touches via the free Zinio app. Learn more about what's in this issue here. Or view Current Issue under the Subscribe tab. Subscribe now digitally and read it now here. To download the free Zinio iPhone/iPod app, click here. To download the free Zinio iPad app, click here.